Lucian definitely needs some love, but Lux? Lucian and Lux are the latest champions to be buffed on the PBE, according to the test server’s most recent update. 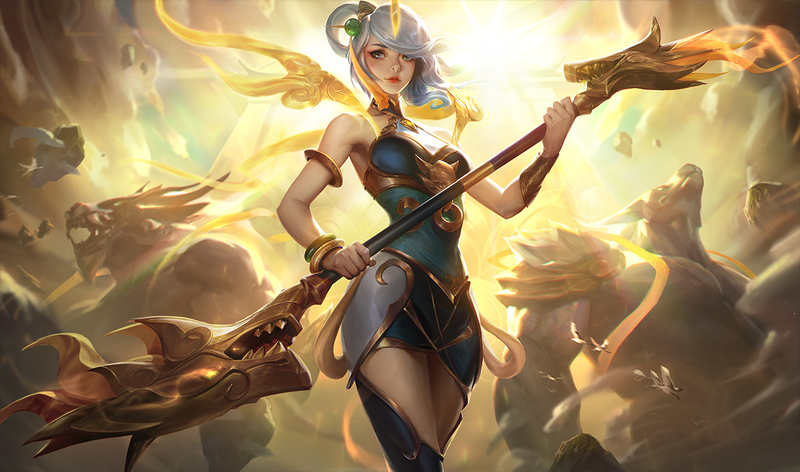 So far, Patch 8.6 is jam-packed full of buffs and little else, and with these changes, that trend is only continuing. While it’s true that Lucian has been struggling and needs all the help he can get, Lux is performing as a strong mid laner, and her off-role as support mage is doing well, too. Her buff isn’t quite as impactful as Lucian’s, but it’s still a meaningful change, and she’ll be significantly stronger as a result. Her ultimate, Final Spark, has a mechanic that causes its cooldown to be partially refunded if she kills a champion with ability. The amount that it refunds increases with each level, starting at a 10 percent refund and ending at 50 percent at max rank. With this buff, the refund will now start at 30 percent, while still ending at 50 percent. That means, as long as she lands a kill with Final Spark, its cooldown will be reduced by about 24 seconds, which is much more potent than the eight seconds that are currently refunded by the 10 percent. Lucian’s buff is more straightforward, as it’s a simple flat damage buff. His W, Ardent Blaze, will have a higher base damage after this change. Rather than starting out at 60 damage and ending at 220 at max rank, it’ll now deal 85 at rank one and end at 245, which is a 25 base damage increase across the board. Base damage values are usually what carries champions from the early game into the mid-game, and it’s right around there that AD scalings start to pass them by. A 25 damage increase is a lot, especially at early levels, but once he hits around level nine, it’ll be hard to tell that the buff is even there. That’s okay, though, because Lucian is an early-game lane dominator that’s struggling to actual dominate his lane. With this base damage buff, his luck may finally turn around. These buffs are expected to land with Patch 8.6 next week.